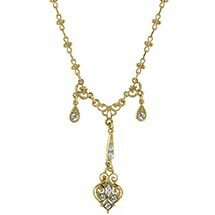 Inspired by a pair of earrings worn by Cora, Lady Grantham, during Season Three at the family's Scottish hunting lodge. 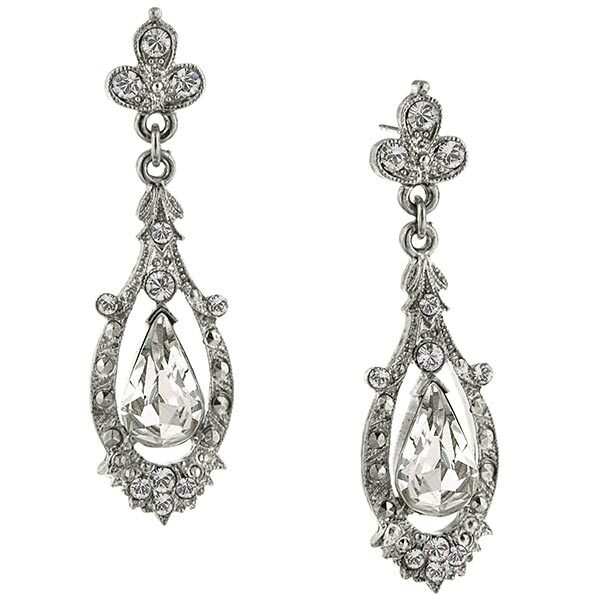 Silver tone crystal drops with a filigree motif and white Czech crystal posts. 1 1/4" long. Nickel-free. Made in the USA. Please allow 2-3 weeks for delivery. Item can only be shipped within the Continental US.